The office of the insanely wealthy and obscenely blond Richard Branson, founder of the Virgin Group, is hiring a personal assistant. That personal assistant will live and work on Necker Island -- aka the island the Obamas vacationed on just after leaving the White House. This is your chance to live like an Obama, so don't blow it. 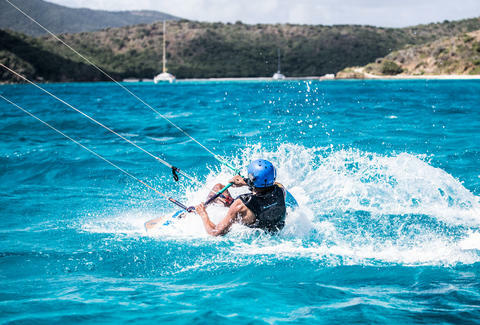 Check out the LinkedIn listing for yourself, but when you inevitably get this job you'll become the personal assistant of Necker Island’s General Manager Keny Jones and the admin assistant for Richard Branson’s office. This means you'll be doing a lot of administrative work when you're not riding a jet ski or whatever secret aquatic they're keeping from us on those private islands. Per the job description: "The main responsibilities will be diary and email management, general correspondence, filing and archiving, booking travel and providing cover for Richard’s PA when they’re on holiday, amongst a whole host of other admin-related tasks. It’s a busy role in two even busier offices so think carefully as it’s not for everyone (despite the sunshine)." You'll have to apply by March 10 in an email with a video of yourself and a CV to iwanttobeyourpaaa@virgin.com. The video should be under 2 minutes, during which you'll share why you want the job, your unique skills and experience, and an interesting fact about yourself. 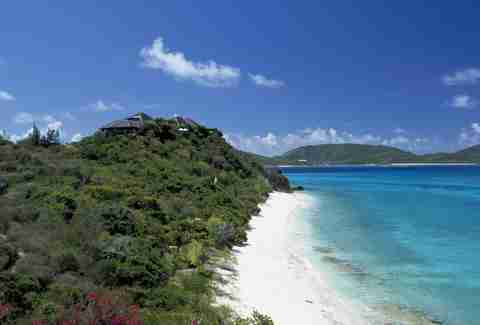 Necker Island takes up 74 acres of the British Virgin Islands in the Caribbean. As you might expect from an island owned by a billionaire, it's freakishly beautiful and it's even available for people like the Obamas to rent out entirely. Also there are lemurs. James Chrisman is a News Writer at Thrillist who already has a job. Send news tips to news@thrillist.com and follow him on Twitter @james_chrisman2.